I am looking for 10 women who want to lose 20-30 lbs! Summer is right around the corner ladies, time to feel good in your skin. This is not being 'perfect' but being fit & confident! If you are willing to invest in your body & your health and you have at least 30 min a day to work towards your goals...then this group is for you! I have helped thousands of women lose weight, learn how to eat clean, & feel better in their body. I can help you be successful to. I can only take 10 people & my spots full quickly. You will not be starving or deprived. You're still allowed some chocolate and wine😉 Free bonus gift for joining and access to me24/7. Who is ready to join me?! Click here to get your complete kit! Have a road trip planned soon? 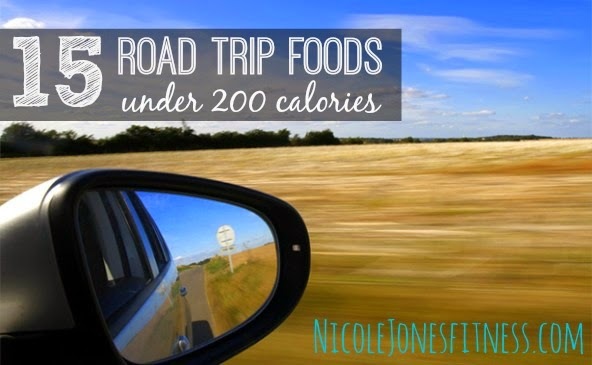 While it's easy to hit a drive-thru to grab a quick bite to eat it's also easy (and cheaper) to pack some healthy food for the road! This list can help you stay on track health wise while you are traveling!